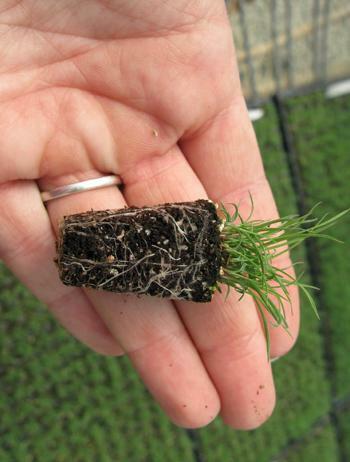 GrassSolutions for January: Grass winners, healthy propagation & more! Bouteloua gracilis 'Blonde Ambition' PP22048 just got a significant nod from the industry. It was named a Top Performer by the Plant Select ® program. Not only was it named a top performer, it was the grand winner for both 2015 and 2016. The Plant Select® program focuses on the High Plains and Intermountain regions of the U.S. Fifty-three public gardens in Colorado, Wyoming, Utah, Idaho, and Montana participated in the trials. Plants in the program were evaluated on winter hardiness, bloom and foliage quality, and overall appearance and performance. Read about the 2016 Top Performers, and learn more about this fabulous grass in our plant profile. Nursery Management profiled Andropogon ternarius in their recent Green Guide. This North American native deserves more attention, and we're happy to see it getting industry love. 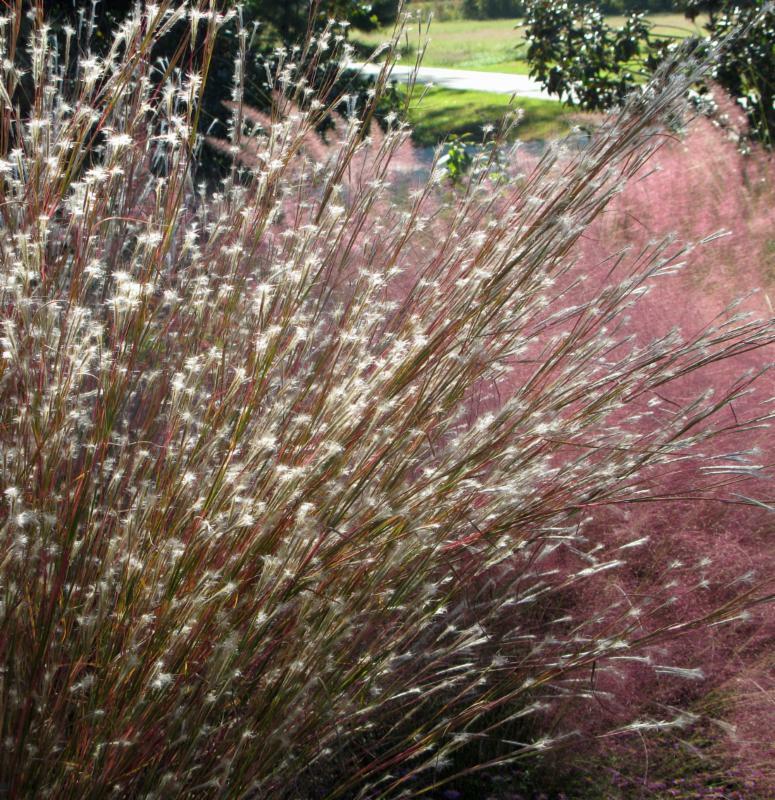 With gorgeous fall color and cottony seed heads, Split-beard Bluestem delivers on beauty. It's also tough enough to handle a range of conditions and requires very little attention to perform well. See Nursery Management's post and get the Hoffman Nursery view with our plant profile . American Nurseryman published a list of the most popular stories of 2016. Dr. Mary Meyer's article on grasses for wet areas was their most-read story of 2016. 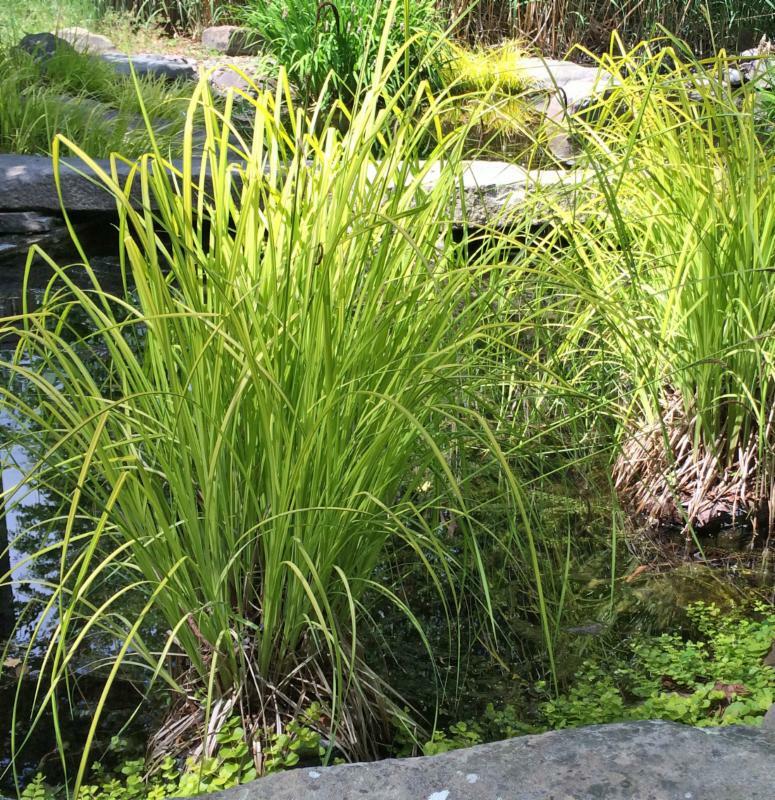 Grasses and grasslike plants tend to be pretty tough, so there are some great choices for wet, tricky sites. 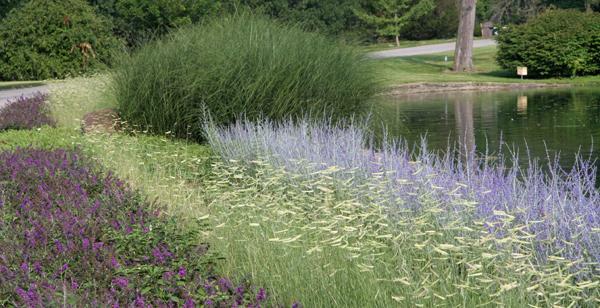 Take a look the article, "Grasses for Wet Sites" and see the other most-read stories. Although we specialize in grasses and sedges, we deal with some of the same pathogens other growers encounter. Propagation is a particularly vulnerable point in the growing process because of the moist, high-water environment created under mist conditions. Last month, Nursery Management interviewed Scott Epps, our Nursery Manager, about how we handle plant health challenges. Read Scott's 8 tips for healthy propagation. And listen to Scott discuss ways we help prevent disease from disrupting the propagation process in this Grower Radio Network podcast. How would you like to spend a week visiting horticultural facilities and attending a conference with hundreds of plant professionals? That's the unique and valuable perspective the International Plant Propagators Society (IPPS) offers deserving individuals each year via an exchange program. In the January 2017 issue of Nursery Management, Brie Arthur writes about the program. She participated as a delegate in 2014 and hosted a European delegate in 2016. Lance Russell of Fleurie Nursery in England visited the U.S. this fall and toured facilities around the Southeast with Brie. As part of the tour, they visited Hoffman Nursery. Lance and Brie spent time touring our production and growing facilities and talking with our staff. We loved the exchange of ideas and the collegiality their visit offered. Read the article, "A New Perspective." Lance Russell (left) of England-based Fleurie Nursery, was the IPPS European Region’s international exchange delegate. 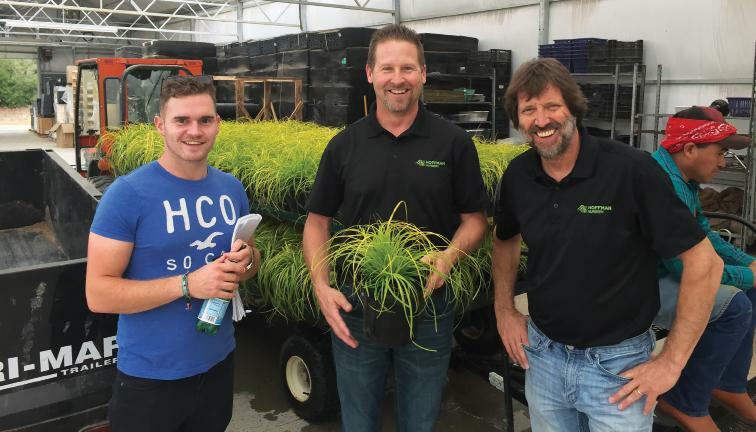 He met with Darren Barshaw (middle) and John Hoffman of Hoffman Nursery to learn more about ornamental grasses. Photo and caption courtesy of Brie Arthur. 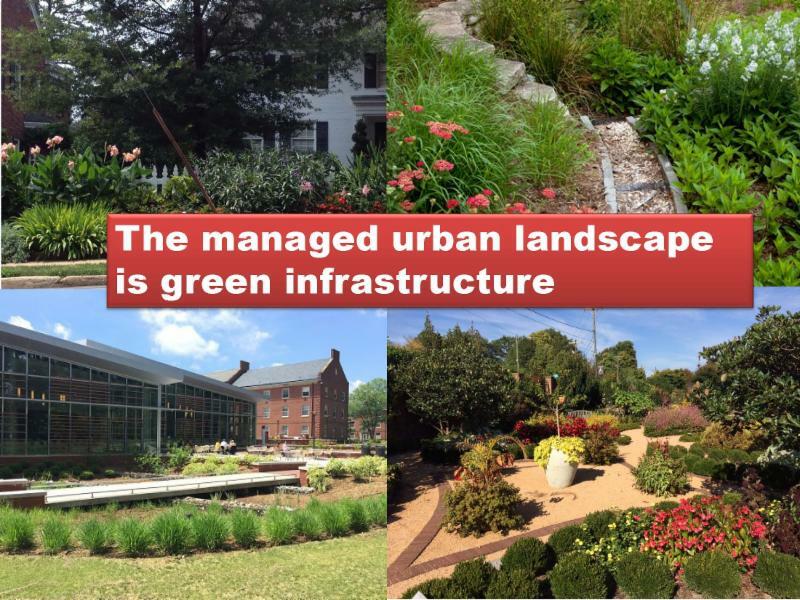 This year's education program at the Green & Growin' show in Greensboro, North Carolina featured a fantastic talk on green infrastructure (GI). Debbie Hamrick of North Carolina Farm Bureau described what GI is all about and discussed the opportunities this market offers our industry. She explained how our population is growing and moving to urban areas. More than 60% of the area projected to be urban in 2030 has yet to be built. This dramatic increase in development will have profound effects on water and air quality, population health, and quality of life. Green infrastructure is a smart and cost-effective way to lessen the negative impact of development. Plants are key to this strategy, and Hamrick built a case for GI providing great opportunity for our industry to sell, install, and maintain plants. In addition to promoting the traditional benefits of plants and green spaces, we should be highlighting the wider range of benefits they offer (see graphic below). Plants help clean our air and water, support wildlife, reduce energy consumption, and improve our health, among other benefits. Earlier in the education program at Green & Growin', horticultural economist Dr. Charlie Hall delivered a similar message. He urged us to show the public that plants and green spaces are a necessity. He believes doing so will be key to the success of our industry. 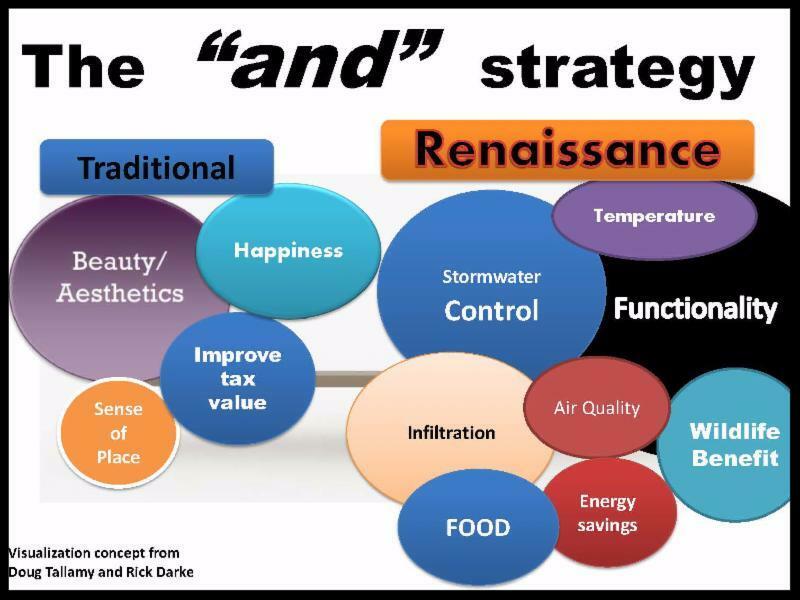 If you're interested in learning more about green infrastructure and the benefits of plants, visit Hamrick's website, New Terrain. And you can subscribe to her newsletter of the same name here. Our industry has been promoting the traditional benefits of plants, but there's a growing recognition that they offer a much wider range. Taking an "AND" strategy that encompasses the full range of benefits can broaden the market for plants and associated services. On February 1, Marketing Director Shannon Currey will discuss the important role of grasses and sedges. She'll explain why they are integral to meeting the increasing demand for landscapes that do more with less. The session runs from 2:30-3:30pm. Hosted by the Perennial Plant Association and the Horticultural Society of Maryland, this day-long seminar brings together an exciting roster of horticultural speakers. Marketing Director Shannon Currey will speak on grasses and sedges during the morning sessions. This annual, three-day competition and networking event brings together horticulture students from across the country. It's hosted by the National Association of Landscape Professionals and a different college each year. At this year's competition at Brigham Young University in Utah, Hoffman Nursery will sponsor the annual & perennial identification event. We've been involved with this event for several years and continue to marvel at the enthusiasm and interest we see from students. See you there! Includes prices for liners, number of liners in stock, future availability, and our order form. 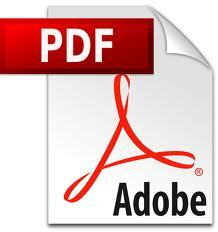 Available in Microsoft Excel or Adobe PDF format. Stay connected with us for the best in grass-related content.